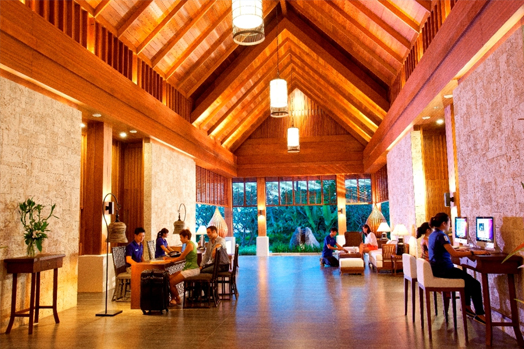 Thanyapura in Phuket, Thailand, you’ll be blown away with a week of fun, exercise and dining in paradise! This HELL WEEK swim training camp is ideal for open water swimmers and triathletes 18 yrs. old and above of all levels and abilities. 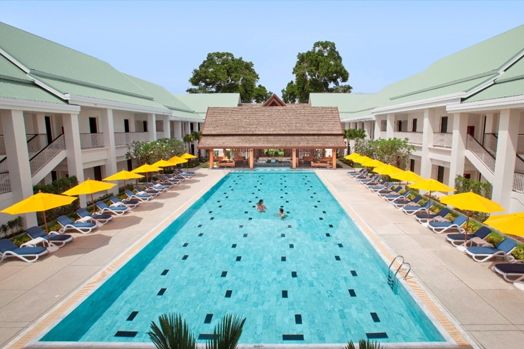 You’ll be swimming in the pool and at the beautiful beaches of Phuket to ramp up your fitness for the season ahead. During the camp you’ll learn what’s like to live as a professional athlete. You’ll discover exactly what you need to do take your swimming to the next level with underwater filming and analysis, our exclusive flexibility screening and training programs that improve technique, strength and fitness. If you love food, you’ll absolutely love the delicious organic food at Thanyapura’s restaurant (meals included of course!). 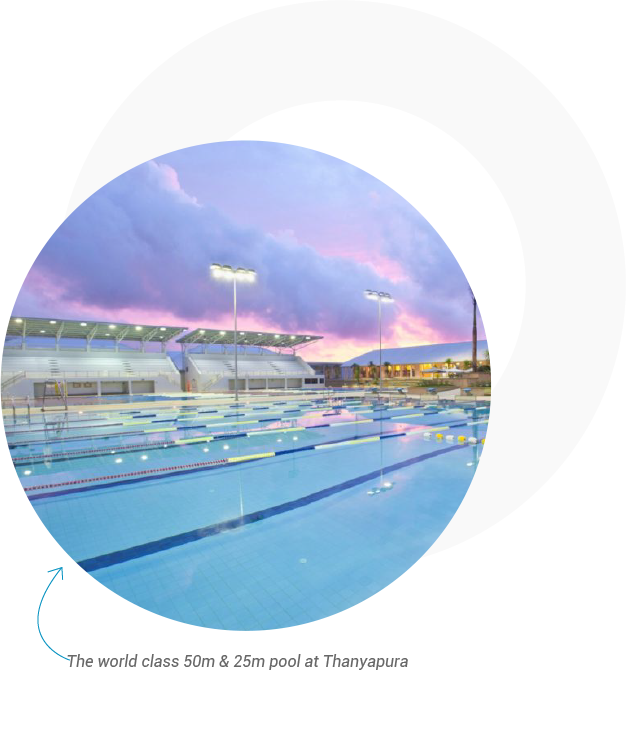 You’ll have access to the expert sports masseurs, physiotherapists and health clinicians at Thanyapura to recover and relax after a big day of training. Single $3400 (AUD) Twin share $2900/pp (AUD) (room can be made into two twin beds or one King bed (twin beds together) Please note: Non-swimmers can attend the camp and are $800 less than the price of a swimmer. (Eg. For a swimmer and non-swimmer in a twin share room is $5,000.). Please contact us if you would like to book a room with a non-swimmer. Group welcome at 2pm. Meet your fellow camp team members. Mobility screening to test your flexibility and find opportunities for improvement. Light pool session to get the body moving and ready for the week ahead. You’ll also have underwater filming and analysis during this session so you know exactly what to focus on from the start. Technique and stroke correction session followed by threshold test in the pool to determine your ideal training pace for improving your swimming. Goal setting session after breakfast to help you achieve your best for upcoming races. Strength training seminar in the afternoon to give you the knowledge you need to improve you swim specific power. Evening speed session in the pool. You’ll start the day with an open water skills session in the pool to give you the confidence, skills and know-how to be a strong open water swimmer. We take the lane ropes out, put buoys in and have a lot of fun. You’ll learn open water swim skills to improve your racing and learn how to deal with choppy conditions and busy swim starts. Optional technique session after lunch in small groups. In the afternoon you’ll learn about stroke rate vs stroke length and finding your ideal range, followed by a threshold pace session in the pool to test out your new skills. Head to Naithon beach for an open water swim with race simulation on teams. You can choose to stick around at the beach and relax or head back to the hotel to wash up. Optional technique session after lunch in small groups. Dryland strength session followed by recovery swim in pool covering skills, breathing techniques and fun games in teams. The morning of the ‘Bloody Big Swim’. A testing open water race simulation where you’ll get a chance to improve your skills and push yourself. You’ll have the rest of the day off and be free to explore, sightsee and discover the beauty of Phuket. Morning swim in the pool with a big pull session to work up your appetite just before breakfast. Core strength session after lunch then prepare yourself for the ‘Last Person Standing’ session in the afternoon, a set that will have you swimming fast but close to throwing in the towel! Start the day of with a surprise session in the pool (hint: bring your running shoes), preparing yourself for the big finale that afternoon. Friday Night Lights competition to win bragging rights to become Camp Champions. Drinks with the group at the hotel bar before heading out for a final night of dinner and drinks to celebrate an amazing week of swimming, fitness and lots of fun! Ready to join us in Thailand in 2019? What’s the payment and booking process? Bookings can be made directly through the payment link above. 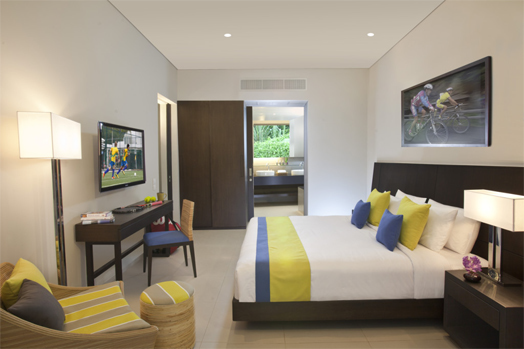 If booking a twin share room with another swimmer, BOTH swimmers must book a spot separately. If booking a twin share room with a non-swimmer, only one booking is required by the person who will be swimming at the camp. We will contact you later about payment for the non-swimmer. What’s the refund policy if I can no longer make it? Spots are transferable but not refundable. How much swimming will I be doing during the week? Each session varies between 2-4km with there being 13 swims planned for the week. This varies between the pool and open water and each session has a different focus from speed, skills, technique, endurance, recovery, etc. Most swimmers end up doing 25-40km for the week depending on their fitness level. One of the best things about Hell Week is the food! All of your meals are prepared at Divine Restaurant at Thanyapura with there being a wide selection of food available. Imagine not having to cook, prepare or clean up any of your meals for the week…it really is train, eat, sleep without any of the worries of normal life. All of your meals are included in the price (except the final night dinner where go out for dinner). I’m not an elite swimmer or triathlete, will this camp be suitable for me? We have a wide range of speeds and swimming abilities attend the camp. Because we have 5x50m lanes for each session we’re able to cater for most levels of swimmers. For aerobic sessions the fastest lane is often leaving around the 1:30 or 1:35/100m pace and the slower lane leaving on 2:30/100m. If you’ve never attended a camp like this before don’t worry, neither have most people! Yes! Most days there is time between sessions and meals to relax by the hotel pool, attend fitness classes or go for a run or ride. Many of the triathletes who attend fit in extra sessions around the camp schedule. In the middle of the week after a few hard days of training, we swim in the morning then you get the rest of the day off to relax or explore Phuket. We often hear campers talk about how much they enjoy the combination of relaxing time and challenging swim workouts. When should I arrive for Hell Week? We start at 2pm on the first day so depending on where you are flying from it can be easier to arrive the day before. Most people fly in the night before and stay at Thanyapura for an extra night. 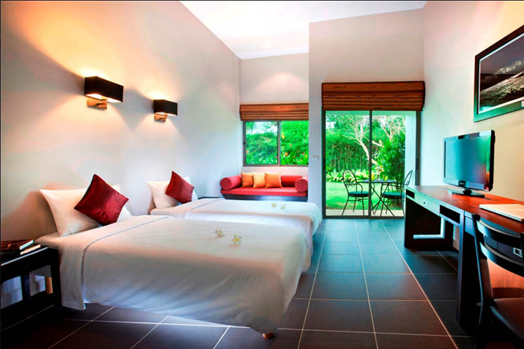 To book the extra night you just need to contact Thanyapura directly at [email protected] and let them know you are with the Hell Week group.